We often hear about the word “cholesterol” in today’s society, especially when it comes to health. Oftentimes, this term is typically labeled as “bad” for the health. However, in reality, humans need this substance to function efficiently. With that being said, in this article you will read about the role of cholesterol in the body along with other important details about this specific topic. A lot of people perceive cholesterol in a negative way because it is thought to belong under the “fats” or “lipids” category. But, even though it may look like a wax or fat, this compound actually belongs to the “sterol” group. To explain further, your liver produces the necessary amount of cholesterol needed by your body, which is more or less 1,000 mg. But, as you know, it can also be found in various food sources, such as meat, eggs, and dairy products. Lipoproteins are typically labeled as “good” and “bad” cholesterol. But, in reality, these substances are not under the sterol group. So, what are these compounds? Keep in mind that cholesterol is oil-based. Because of this, it cannot blend itself with the blood and circulate around the body. Hence, in order for it to travel from one place to another, it needs to attach itself to a certain protein. This is the primary role of lipoproteins. They are responsible for transporting cholesterol and other fat substances. So, why are lipoproteins categorized as “good” and “bad” cholesterol? This is actually related to the route that the lipoproteins-containing-cholesterol take. Low-density lipoproteins (LDL) also known as the “bad” substance move from the liver to the cells or tissues. Keep in mind that if you have too much cholesterol and LDL, it can lead to arterial blockage, a heart attack, and other related health problems. This is where high-density lipoproteins (HDL) also known as the “good” counterpart plays a valuable role. Primarily because HDL removes and transports all excess cholesterol including deposits in your cells, tissues, and blood vessels' walls back to your liver. With that said, foods that can raise your HDL levels like soluble fiber, omega-3 containing foods, and olive oil are not your enemies, but an ally that can prevent cholesterol-related health problems. Credit: Image courtesy of jairojehuel (pixabay.com)As mentioned earlier, cholesterol is not detrimental to your health as long as your body doesn’t have too much. But, what exactly are its functions in the human body? This fat-like compound actually has a lot of functions. One of its main function is for the production of hormones like cortisol and aldosterone. Vitamin D is also synthesized via this compound. This substance is also converted by the liver to produce bile, which is essential for food digestion. Another important role of this compound is in relation to your brain’s health. It was evidently noted in one research that the cholesterol found in eggs can improve the mental health of old people with memory problems. Lastly, as mentioned above, it is found in every human cell. This is primarily because it is one of the substances that acts as the cell’s protective layer. Hence, any fluctuation in your blood cholesterol level will affect the cell’s ability to use and produce energy. Living a cholesterol-free diet will not affect your body’s overall performance. But, if you are fond of eating meat and dairy products, always keep in mind that too much cholesterol can result in several cardiovascular diseases. So, what is the recommended daily cholesterol intake? According to some experts, one should only consume an utmost of 300 mg per day. If you are dealing with high blood cholesterol, you should opt for products that can increase HDL levels and lower LDL levels in your body, like soluble fiber and omega-3 fatty acids. 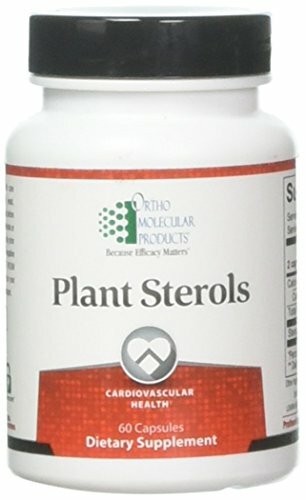 Consuming foods with plant sterols and stanols, like grains, nuts, and seeds, are also known to block or lower cholesterol absorption. This article entitled "Cholesterol Management: Lower Cholesterol Levels through Diet" may also shed more information on managing your daily consumption of this essential substance. great article and good job in differentiating cholesterol and lipoproteins! Thanks! I'm glad you liked this article.